This is a collection of peer-review journal publications, book chapters and published technical reports. I have tried to post links to online versions of papers as much as possible. If you have trouble obtaining any of these, please feel free to email me and request a reprint/PDF. I also write and contribute to articles at The Conversation and you can see a list of these, together with links to the articles, here. Lawrence, A.L., Batovska, J., Webb, C.E., Lynch, S.E., Blacket, M.J., Šlapeta, J., Parola, P. and Laroche, M. (2018). 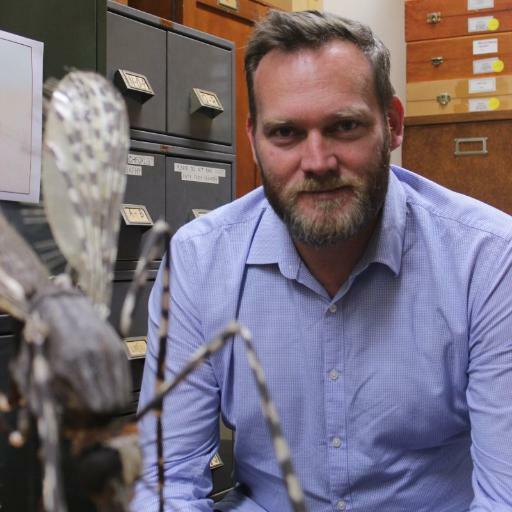 Accurate identification of Australian mosquitoes using protein profiling. Parasitology, 1-10. Online. Walsh, M.G. and Webb, C.E. (2018) Hydrological features and the ecological niches of mammalian hosts delineate elevated risk for Ross River virus epidemics in anthropogenic landscapes in Australia. Parasites & Vectors, 11(1), p.192. Online. Sutrave, G., Maundrell, A., Keighley, C., Jennings, Z., Brammah, S., Wang, M.X., Pamphlett, R., Webb, C.E., Stark, D., Englert, H. and Gottlieb, D. (2018) Anncaliia algerae Microsporidial Myositis, New South Wales, Australia. Emerging Infectious Diseases, 24(8), p.1528. Online. Ismail, T.N.S.T., Kassim, N.F.A., Rahman, A.A., Yahya, K. and Webb, C.E. (2018) Day Biting Habits of Mosquitoes Associated with Mangrove Forests in Kedah, Malaysia. Tropical Medicine and Infectious Disease, 3(3), 77. Online. Prow, N.A., Mah, M.G., Deerain, J.M., Warrilow, D., Colmant, A.M., O’Brien, C.A., Harrison, J.J., McLean, B.J., Hewlett, E.K., Piyasena, T.B. and Hall-Mendelin, S., van den Hurk A.F. , Watterson D., Huang B.​, Schulz B.L., Webb C.E., Johansen C.A., Chow W.K., Hobson-Peters J., Cazier, C., Coffey, L.L., Faddy, H.M., Suhrbier, A., Bielefeldt-Ohmann, H., Roy A. Hall, R.A.​, (2018) New genotypes of Liao ning virus (LNV) in Australia exhibit an insect-specific phenotype. Journal of General Virology, 99: 596-609. Online. Vajda E. A., Webb C.E., Toi C., Clancy J.C., Cruz J.P, Garcia J., Baradi, C. (2017) New Record of Wyeomyia mitchellii (Diptera: Culicidae) on Guam, United States Journal of Medical Entomology, tjx222. Online. Colmant, A.M., Etebari, K., Webb, C.E., Ritchie, S.A., Jansen, C.C., van den Hurk, A.F., Bielefeldt-Ohmann, H., Hobson-Peters, J., Asgari, S. and Hall, R.A. (2017). Discovery of new orbiviruses and totivirus from Anopheles mosquitoes in Eastern Australia. Archives of Virology, pp.1-6. Online. Crocker, W., Maute, K., Webb, C. and French, K. (2017). Mosquito assemblages associated with urban water bodies; implications for pest and public health threats. Landscape and Urban Planning 162: 115-125. Online. Jong, Z.W., Kassim, N.F.A., Naziri, M.A. and Webb, C.E. (2017). The effect of inbreeding and larval feeding regime on immature development of Aedes albopictus. Journal of Vector Ecology, 42(1). Online. Vajda, É.A. and Webb, C.E. (2017). Assessing the Risk Factors Associated with Malaria in the Highlands of Ethiopia: What Do We Need to Know? Tropical Medicine and Infectious Disease, 2(1):4. Online. Toi C.S., Webb C.E., Haniotis J., Clancy J. and Doggett S.L. (2017). Seasonal activity, vector relationships and genetic analysis of mosquito-borne Stratford virus. PloS One, 12(3), p.e0173105. Online. Lilly D.G., Dang K., Webb C.E. and Doggett S.L. (2017). Are Australian field‐collected strains of Cimex lectularius and Cimex hemipterus (Hemiptera: Cimicidae) resistant to deltamethrin and imidacloprid as revealed by topical assay? Austral Entomology [Early View]. Online. Webb C.E. and Hess I.M. (2016) A review of recommendations on the safe and effective use of topical mosquito repellents. Public Health Research & Practice, 26: e2651657. Online. Webb C.E. and Doggett S. L. (2016). Exotic mosquito threats require strategic surveillance and response planning. Public health research & practice, 26: e2651656. Online. Lilly D.G., Webb C.E. and Doggett S.L. (2016). Evidence of tolerance to silica-based desiccant dusts in a pyrethroid-resistant strain of Cimex lectularius (Hemiptera: Cimicidae). Insects. 74. Online. Claflin S.B. and Webb C.E. (2016). Surrounding land use significantly influences adult mosquito abundance and species richness in urban mangroves. Wetlands, Ecology and Management [Early View] Online. Minocha, R., Wang, C., Dang, K., Webb, C.E., Fernández‐Peñas, P., and Doggett, S.L. (2016). Systemic and erythrodermic reactions following repeated exposure to bites from the Common bed bug Cimex lectularius (Hemiptera: Cimicidae). Austral Entomology [Early View] Online. Grigaltchik, V. S., Webb, C. and Seebacher, F. (2016), Temperature modulates the effects of predation and competition on mosquito larvae. Ecological Entomology [doi:10.1111/een.12339] Online. Faull K.J., Webb C.E. and Williams C.R. (2016), Desiccation survival time for eggs of a widespread and invasive Australian mosquito species, Aedes (Finlaya) notoscriptus (Skuse). Journal of Vector Ecology, 41: 55–62. Online. Appuhamy R. and Webb C.E. (2016) Mosquito-borne viral diseases in the ACT. ACT Health Population Health Bulletin, 5: 21-23. Online. Download. Lilly D.G., Latham S.L., Webb C.E., Doggett S.L. (2016) Cuticle Thickening in a Pyrethroid-Resistant Strain of the Common Bed Bug, Cimex lectularius L. (Hemiptera: Cimicidae). PLoS ONE, 11(4): e0153302. Online. Lilly D.G., Dang K., Webb C.E., Doggett S.L. (2016) Evidence for Metabolic Pyrethroid Resistance in the Common Bed Bug (Hemiptera: Cimicidae). Journal of Economic Entomology, [early view] Online. Williams C.R, Webb C.E., Orre S., Naunton M. and Thomas J. (2016) Can kunzea oil (Kunzea ambigua) control head lice (Pediculus humanus capitis)? Parasitology Open, 2, e3 doi:10.1017/pao.2015.2. Online. Webb C.E., Doggett S.L. and Russell R.C. (2016) A Guide to Mosquitoes of Australia. CSIRO Publishing, Clayton South, Australia. ISBN: 9780643100305. Online. Lawrence A.L., Hii S.F. ; Chong R., Webb C.E., Traub R., Brown G., Slapeta J. (2015). Evaluation of the bacterial microbiome of two flea species using different DNA isolation techniques provides insights into flea host ecology. FEMS Microbiology Ecology 91 (12). Online. Claflin S. and Webb C.E. (2015). Ross River virus: many hosts and vectors make for an unpredictable pathogen. PLoS Pathogens 11(9): e1005070. Online. McLean B., Hobson-Peters J., Webb C.E., Watterson D., Prow N.A., Nguyen H.D., Hall-Mendelin S., Warrilow D., Johansen C.A., Jansen C., van den Hurk A., Beebe N.W., Schnettler E., Barnard R.T. and Hall R. (2015) A novel insect-specific flavivirus replicates only in Aedes vigilax-derived cells and persists at high prevalence in wild Aedes vigilax populations in Sydney, Australia. Virology 486: 272–283. Online. Nicholson J, Ritchie SA, Russell RC, Webb CE, Cook A, Zalucki MP, Williams CR, Ward P , van den Hurk AF (2015) Effects of cohabitation on the population performance and survivorship of the invasive mosquito Aedes albopictus and the resident mosquito Aedes notoscriptus (Diptera: Culicidae) in Australia. Journal of Medical Entomology 52: 375-385. Online . Doggett SL, Clancy J, Haniotis J, Webb CE, Hueston L, Marchetti M, Blyth F, Howard S, Dwyer DE, Russell RC. (2009) Arbovirus and vector surveillance in New South Wales, 2004/05-2007/08. Arbovirus Research in Australia. 10: 28-37. Webb CE, Willems KJ and Russell RC. (2004). The response of mosquitoes (Diptera: Culicidae) from the Sydney region of New South Wales to light traps baited with carbon dioxide and octenol. General and Applied Entomology 33: 69-73. Ritchie SA, Long S, Hart A, Webb CE and Russell RC. (2003) An adulticidal sticky ovitraps for sampling container-breeding mosquitoes. Journal of the American Mosquito Control Association 19: 235-242.